Winning three of their first four games of the season has been great for the Russellville Lady Panthers, but that lone loss proved to be painful. Coach Ryan Davenport’s young team was the defending All A Classic 4th Region champion, but that run ended early when the Lady Panthers were upset 5-3 at Metcalfe County. RHS scored 8 runs in the fourth inning to come from behind in the inning. The first eight batters in the order reached in that inning on only 2 hits, singles by Chloe Whitescarver and Taryn Gray. Amiyah Collier and Bam Ray walked, Jaylah Kees, Addie Mosier and Mat Mat Penrod reached on errors, and Brinley Mason reached on an error. Trinity finally got an out, but Collier reached on an error, and Kees, Ray and Whitescarver singled to end the game. Whitescarver totaled 4 hits and 5 RBIs. Mason homered and Collier doubled for 2 of the Lady Panthers’ 5 hits. In fact, they each singled for two more of the hits. Mosier added the fifth hit. Gray added to the offense with a pair of walks. Natalie Cates, Collier, Ray and Penrod also walked. Collier, Mason and Penrod each had 2 RBIs. Gray and Hannah Alford added an RBI each. Cates, Mason and Gray all scored 2 runs. Mosier pitched the first 4 shutout, 2-hit, no-walk innings. Collier breezed through the final inning with no hits, 2 strikeouts and a walk. The Lady Panthers scored those 21 runs on 19 hits and 2 walks. Ten of the hits were for extra bases, including 2 homers by Ray, 3 doubles by Whitescarver and 2 doubles by Collier. Ray and Whitescarver each had 4 hits with Ray driving in 6 runs and Whitescarver 4. Collier had 3 hits, Kees, Mosier and Penrod 2 each, and Mason and Reese Croslin 1 each. Collier joined Whitescarver with 4 RBIs while Kees and Penrod had 2 each. Scoring 4 runs each were Collier and Whitescarver with Ray adding 3 and Kees, Mason and Croslin 2 each. Mosier pitched 3.2 innings of 1-hit, no=run ball. Gray gave up just 1 hit In getting 4 outs but she walked 5, which led to 4 runs. RHS had a great chance to win this All A regional game, but it slipped away. 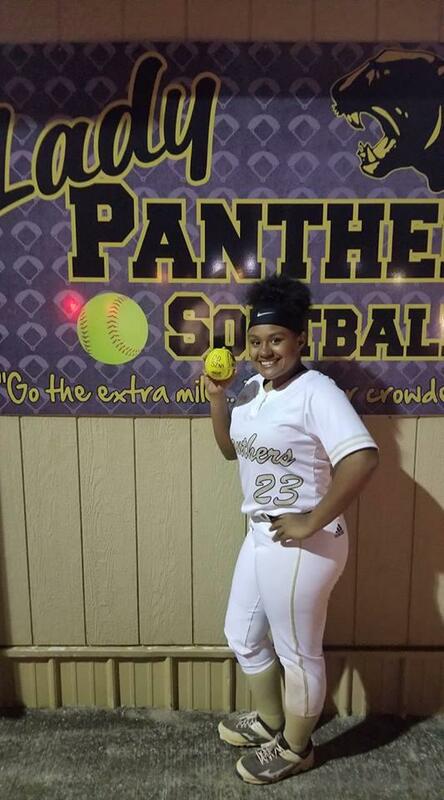 The Lady Panthers banged out 12 hits, including 3 doubles. In the first inning, Collier singled and Whitescarver doubled, but Collier was thrown out at the plate. Then Kees doubled in Whitescarver. In the fifth, Collier singled, Ray doubled her in, and then Kees followed with her second RBI hit, scoring Ray. Metcalfe scored the winning runs in the sixth on a double on three hits. Mosier was the starting pitcher. She gave up 8 hits while striking out 1 and walking 1. Collier pitched an inning in relief. 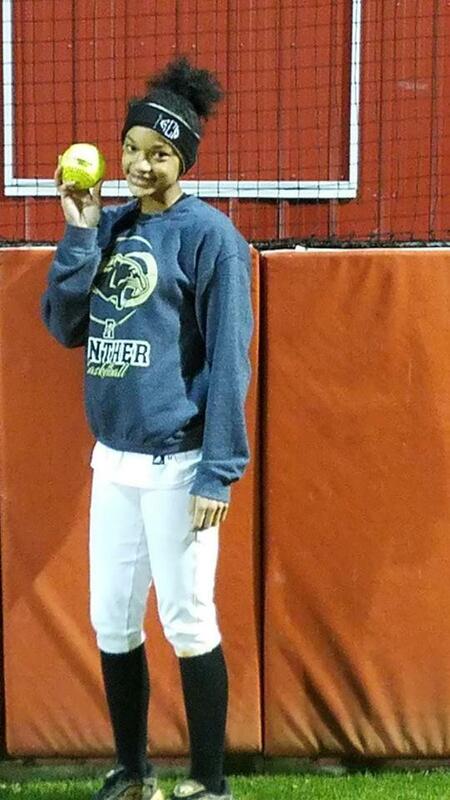 She allowed a hit but struck out 3 Lady Hornets. There were no errors by either team in the game. Collier and Kees had 3 hits each. Whitescarver and Brinley Mason each added 2 hits with both of them getting a double. Tonisha Hampton and Penrod worked the only walks. Collier hit a grand slam in the second inning to get RHS off to a good start. She also singled twice. Ray doubled twice, drove in a run and scored. Kees doubled among her 2 hits. Mosier singled twice while Mason while Crissy Higgins and Mason each had a hit. Collier pitched 4 innings and got the win, giving up just 1 hit and 3 walks. Mosier worked the last 4 innings. She allowed 5 hits but no runs or walks.